Legal online wagering on horse racing will not be directly affected by a new U.S. government Department of Justice opinion on the Wire Act but could have an indirect impact on the willingness of banks and credit card companies to allow horseplayers to fund their advance deposit wagering accounts. The opinion from the Justice Department's Office of Legal Counsel, first reported by OnlinePokerReport.com, reversed a 2011 position taken during the Obama administration stating the Wire Act – a 1961 law prohibiting transmission of betting or betting information across state lines – only applied to sports betting. The reversal by the Trump administration may create an atmosphere of uncertainty among businesses operating online casinos, interstate lotteries and daily fantasy sports contests, along with banks and credit card companies. The Interstate Horseracing Act of 1978, amended in 2000 to include telephone and other electronic forms of wagering in states where that type of betting is legal, provides an explicit exemption for horse racing to conduct interstate wagering. Despite that exemption, many banks and credit card companies were slow to permit the use of credit cards to fund advance deposit wagering accounts. 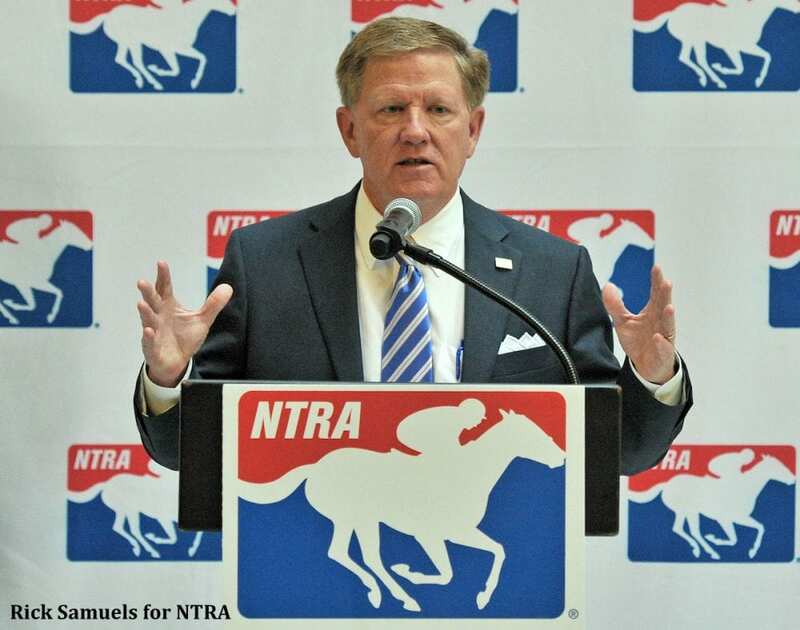 Breakthroughs were made in recent years, however, and Alex Waldrop, president and CEO of the National Thoroughbred Racing Association, wants to make sure this new Justice Department opinion does not reverse the trend. The order by the Justice Department is dated Nov. 2, days before the resignation of Attorney General Jeff Sessions. The move was applauded by the Coalition to Stop Internet Gambling, a group widely believed to be funded by Sands casino operator and GOP mega-donor Sheldon Adelson, an opponent of online gaming. This entry was posted in NL Article, Ray's Paddock and tagged advance deposit wagering, ADW, alex waldrop, coalition to stop internet gambling, Department of Justice, Federal Wire Act, internet gambling, interstate horse racing act, jeff sessions, National Thoroughbred Racing Association, online gaming, online wagering, sheldon adelson, sports betting by Ray Paulick. Bookmark the permalink.